Made to order in 1-4 weeks. 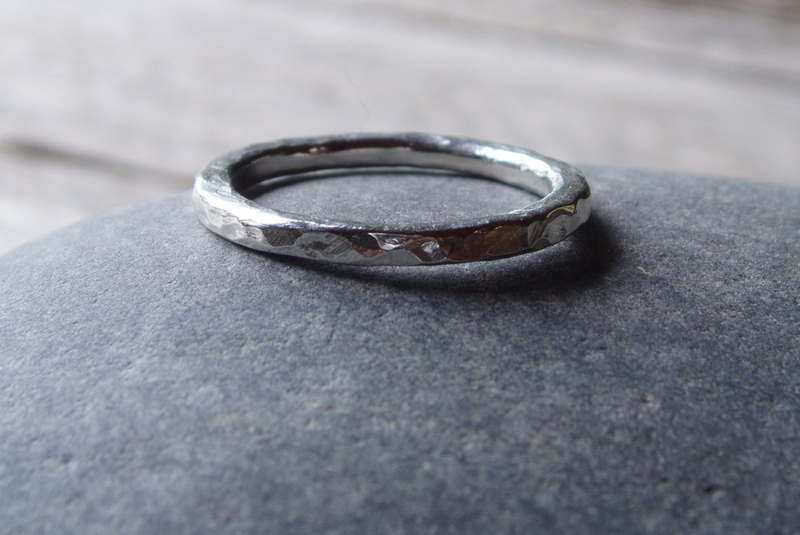 A set of sublime and elegant artisan sterling silver rings forged, hammered and textured with love in the heart of the Spiral River. Each set is a work of art, as no two have the same hammer marks. 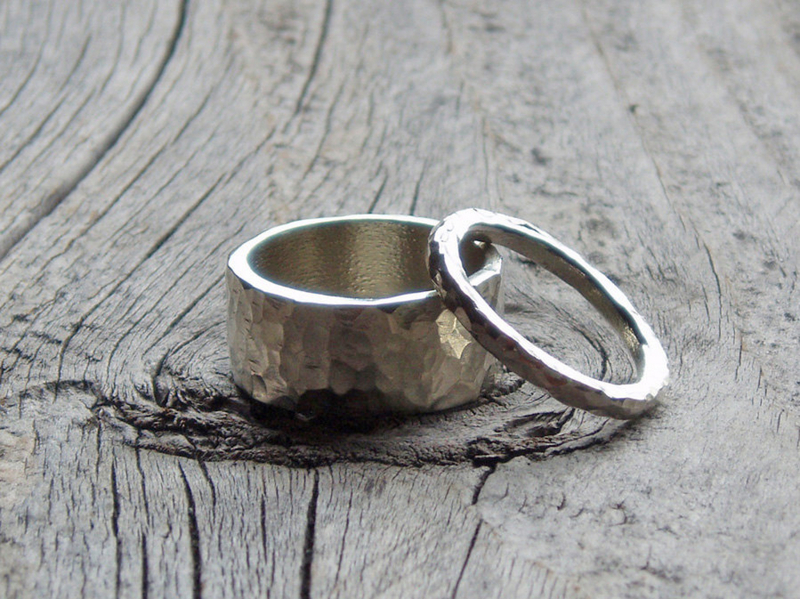 The larger ring is 10mm wide sterling that's 2mm thick, while the smaller ring is created with 2mm diameter sterling silver. Please add a note about the ring sizes you need, when you check out. Let’s make sure I create the right size ring for you. I work with US ring sizes and I am very careful to size your custom rings to the size you order. Please double check the size you need before placing your order. 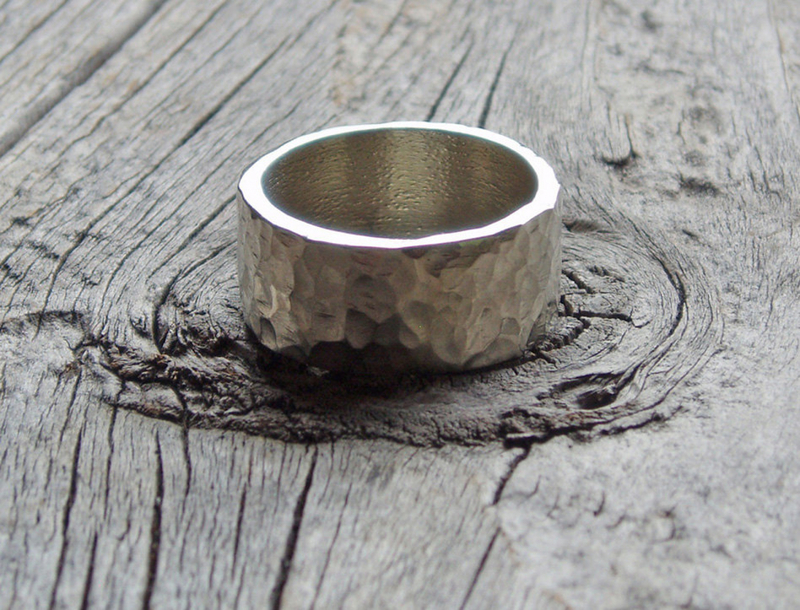 You can do this by measuring the inside diameter (from one side to the other) of another ring you like the fit of. Please make sure the measurement is precise down to fractions of millimetres. If you are ordering a wide band please measure a wide band for fit, not a narrow band. Please send me this measurement along with the ring size you desire upon checkout. Alternatively ask me for this ring sizing tool: https://www.etsy.com/listing/171697314/adjustable-ring-sizer?ref=shop_home_active_8 . Resizing can be as much work as creating a new ring, therefore resizing fees start at $25 plus return shipping. Please be sure to read my refund/exchange policies for custom rings before placing your order.